The Financing Your Business: Preparing for Loans and Microloans workshop is being offered from 3:00 p.m. to 5:00 p.m. on April 17, 2019, and is targeted for those individuals looking for business financing for a startup or an existing business. This interactive workshop will cover the following topics: types of capital, types of financing, sources of capital for businesses, facts about small business loans, preparing to meet with your potential lender or investor, and how the SBDC can help you prepare. Also, being offered this day, FREE and confidential, 1-on-1 business counseling sessions are available from 10:00 a.m. – 3:00 p.m. for those seeking feedback and advice from an experienced business advisor. Counseling sessions are available by appointment only, so please call the CVSBDC at (434) 295-8198 to schedule your appointment on April 17th, or at the Main CVSBDC officer in Charlottesville any other date. Although these events are FREE to all local businesses, space is limited. To ensure a seat at the workshop, businesses can pre-register online at https://bit.ly/2EUUXfY or by phone at (434) 295-8198. Orange County Economic Development in collaboration with the Orange Chamber of Commerce, Central Virginia Small Business Development Center and peer organizations in Fluvanna County, Greene County, and Louisa County has just announced the inclusion of a pitch competition titled, The Quad Tank, to be held at this year’s Summit. The Quad Tank will offer entrepreneurs from the four localities a funding opportunity to take their business ideas to the next level. Orange County, VA – Faye’s Office Supply Inc. has been in business since 1994. We are locally owned and operated by Faye and Curtis Gish of Orange, Virginia. I started my business in 1994 in Locust Grove, Virginia. I realized a market existed for an office supply store in the area. Read the full press release from Faye's Office Supply. The Orange County Economic Development Office, in collaboration with the Central Virginia Small Business Development Center (CVSBDC), Orange County Chamber of Commerce, and Orange Downtown Alliance is hosting two (2) FREE business development opportunities. A workshop, How to Start Your Own Small Business, and 1-1 Counseling Sessions will be offered at The Gordon Building located at 112 West Main Street, Board of Supervisors Meeting Room, Orange, VA 22960 on March 7, 2019. The How to Start Your Own Small Business workshop is being offered from 2:00 p.m. to 4:00 p.m. and is targeted for those individuals thinking about starting a small business or those who have already started one and have realized they may have missed a few things. We will review the steps to a successful start, the registrations and regulations, and the components of sound business planning, including financial projections, and how to choose the right marketing media. In addition to the workshop being offered this day, FREE and confidential, 1-on-1 business counseling sessions are available from 10:00 a.m. – 2:00 p.m. for those seeking feedback and advice from an experienced business advisor. Counseling sessions are available by appointment only, so please call the CVSBDC at (434) 295-8198 to schedule your appointment on March 7th, or in Charlottesville any other date. Although these events are FREE to all local businesses, space is limited. To ensure a seat at the workshop, businesses can pre-register online at https://bit.ly/2Wv2714 or by phone at (434) 295-8198. For more information, please contact Rose Deal at the Orange County Economic Development Office at (540) 672-1238 or rdeal@orangecountyva.gov. The Orange County Economic Development Office, in collaboration with the Central Virginia Small Business Development Center (CVSBDC), Orange County Chamber of Commerce, and Orange Downtown Alliance is hosting two (2) FREE business development opportunities. A workshop, Build a Local Search Presence – A Google Livestream Workshop, and 1-1 Counseling Sessions will be offered at The Gordon Building located at 112 West Main Street, Basement, Orange, VA 22960 on January 16, 2019. There are billions of local searches happening on Google every day….learn how to maximize the benefits of these searches for your small business! Google experts will explain how Build a Local Search Presence, in order to more effectively “be found” by customers in your area. In addition to Google’s instructional video, Betty Hoge, Director of the Central Virginia SBDC will share best practices for using Google My Business features (like posts and reviews) to put your best foot forward Ms. Hoge will also will lead a roundtable discussion about consumer trends related to local searches. On November 1, 2018, the Office of Economic Development and Tourism will relocate to a "new" temporary location. The historic Town of Orange Train Deport, located at 122 E Main St, Orange, VA 22960, will house the department while renovations take place to their future and permanent home, the Historic Clerk's Office. CNBC announced its' 2018 rankings for America's Top States for Business. Virginia ranked #4 for 2018, an increase of three spots from 2017 rankings. Read more and view the full list. Central Virginia Wine Tours & Transportation LLC is entering its 6th year of operation this month, as a locally owned and operated business serving Orange and its surrounding areas of Central Virginia. Two Cadillac Escalades (6 passengers each), a comfortable VanTerra MiniBus with table and social seating arrangement (seats up to 14 passengers) and two Limousine Buses (seats 20 passengers each) make up the current fleet. The buses include leather seats in bench row style, a wet bar, as well as TV’s and a surround sound phone hook up to travel in comfort and style. All vehicles are provided with complimentary chilled water bottles for passengers. Orange, Virginia – In a follow up from Governor Northam’s April 2018, announcement that the census tract which includes the Town of Orange was nominated for a Federal Opportunity Zone designation, Governor Northam announced on May 24, 2018, that the U.S. Department of Treasury has officially granted the designation. The Orange County Economic Development Office, in collaboration with the Central Virginia Small Business Development Center (CVSBDC), Orange County Chamber of Commerce, and Orange Downtown Alliance is hosting two (2) FREE business development opportunities. A workshop, Choosing the Right Media, and 1-1 Counseling Sessions will be offered at The Gordon Building located at 112 West Main Street, Lower Level, Orange, VA 22960 on June 20, 2018. The Choosing the Right Media workshop is being offered from 5:00 p.m. to 7:00 p.m. and is targeted for those individuals interested in exploring what forms of media are best in small towns, including both paid and unpaid advertising. We will give you guidelines to use to select the media mix that works best for your business, your customers, your marketing goals, and your marketing budget. In addition to the workshop being offered this day, FREE and confidential, 1-on-1 business counseling sessions are available from 10:00 a.m. – 3:00 p.m. for those seeking feedback and advice from an experienced business advisor. Counseling sessions are available by appointment only, so please call the CVSBDC at (434) 295-8198 to schedule your appointment on June 20th, or in Charlottesville any other date. Although these events are FREE to all local businesses, space is limited. To ensure a seat at the workshop, businesses can pre-register online at https://bit.ly/2wtpNdB or by phone at (434) 295-8198. Orange, Virginia – During the month of May, Virginia will acknowledge its existing business community and the pivotal role it plays in strengthening the Commonwealth and building the new Virginia economy in a month-long celebration. Vanan Online Services was originally founded in India in 2011 as an online services provider specializing in transcription, translation, captioning, subtitling and more. In 2016, the company established their US headquarters in Locust Grove, Virginia, with just a single employee. Today, Vanan Services continues to deliver outstanding value, and has been joined by Vanan Healthcare. The company now has four full-time employees, and four commission-based employees due to growth in demand for the firm’s expertise in handling medical billing and transcription, as well as additional services, including denial management, payment posting, physician credentialing, electronic claims submission, and more. On April 13, 2018, Vanan Healthcare officially announced an expansion of the company’s Virginia headquarters as the company positions itself for growth in the current year and onward. Vanan Healthcare has officially expanded its physical infrastructure, and is positioned for exponential growth, with new contract partners, platform automation, and additional value-added services. Read more about Vanan Online Services recent expansion. The census tract that includes the Town of Orange has been nominated by Governor Northam for a Federal Opportunity Zone designation. A maximum of 25% of the eligible census tracts, for a total of 212, were submitted to the U.S. Department of Treasury for consideration and approval on April 19, 2018. Read more about this designation. The Orange County, Virginia Department of Tourism is excited to announce the upcoming release of a new 2018 video depicting the experiences of Orange County. The video, Welcome to Orange County, Virginia, highlights a sample of the spectacular views, activities and experiences available in this beautiful County loved by hundreds of thousands of visitors each year. Read more about the video release. The Orange Workforce Center is preparing for an Open House to be held on Tuesday, April 24, 2018, at the Orange Workforce Center located at 127 Belleview Ave., Orange, VA 22960. Throughout the morning, one of the six partners at the Workforce Center will give a short presentation on the services they offer. In addition to the Open House, the Orange Workforce Center is also coordinating a Regional Job Fair at Germanna’s Daniel Technology Center (18121 Technology Dr, Culpeper, VA 22701) on Saturday, April 28th from 8 a.m.-1 p.m. This event is open to ALL job-seekers. Doors will open at 10 a.m. for area high school and college students, with businesses offering part-time, full-time, summer, and internship possibilities. From 11 a.m.-1 p.m., all job-seekers (regardless of age) are invited to meet with area hiring managers during the Job Fair. Netherlands Ambassador Schuwer and Embassy staff made a special visit to Orange County, VA on March 23-24, 2018, in an effort to strengthen historical and economic ties to the area. See NBC29's full story on the visit. Netherlands Ambassador to the United States Henne Schuwer plans visit to Orange County March 23-24th. Ambassador Schuwer will host a roundtable with the many Dutch-American entrepreneurs in the region as well as learn more about the historic link between the Netherlands and Orange County. Governor Northam has announced that Virginia now ranks as #1 in the Atlantic Region in Workforce Development rankings as analyzed by Site Selection Magazine. Virginia beat out other highly competitive states such as Florida, North Carolina, Maryland, and Delaware. Zoning text amendments allowing “microbreweries” and “microdistilleries” as special-uses in agriculturally zoned land and as permitted uses in commercially zoned land, were given recommended approval by the Planning Commission. The text amendments will later be scheduled for a public hearing before the board of supervisors for their final approval. Read the full article from the Orange Review. On January 10, 2018, students and employers came together for the first ever "Hornets for Hire" job fair. The job fair included a workplace readiness workshop prior to the job fair to ensure students were ready to meet with employers looking to fill vacancies. Read more from the Orange Review. Orange County Considers Text Amendments to allow for "Microbreweries" and "Microdistilleries"
The Orange County Planning Commission is currently considering text amendments that would allow “microbreweries” and “microdistilleries” as special uses in agriculturally zoned land, as well as a permitted uses in commercially zoned land. The definitions for those uses are also being considered and proposed as additions to the county’s zoning ordinance. Read more from the Orange Review. On January 4, 2018, Governor McAuliffe announced a new 860 kilowatt rooftop solar array at specialty apparel firm, Green Application in Gordonsville, VA. This new solar array will offset almost 50 percent of the facility’s electricity usage, which represents a significant benefit to the company. The system was designed, engineered, and installed entirely by Virginians who work for Charlottesville-based Sun Tribe Solar. Read more about the solar project. Orange County, VA – The Orange County Economic Development Office, in collaboration with the Central Virginia Small Business Development Center (CVSBDC), Orange County Chamber of Commerce, and Orange Downtown Alliance is hosting two (2) FREE business development opportunities. A workshop, Small Business Sources of Capital, and 1-1 Counseling Sessions will be offered at The Gordon Building located at 112 West Main Street, Basement, Orange, VA 22960 on January 17, 2018. The Small Business Sources of Capital workshop is being offered from 3:00 p.m. to 5:00 p.m. and is targeted for those individuals interested in learning more about sources of funding for their small business. Where and how you finance an operation can be the difference between dominance and failure, whether you need startup funding, ongoing working capital, or funding for a business expansion. All money may sound like good money in today’s environment. It isn’t. Often it makes the most sense to tap a few different sources of capital. This workshop will review the pros and cons of a myriad of financing sources available to entrepreneurs and give tips for success in obtaining capital needed for your business. In addition to the workshop being offered this day, FREE and confidential, 1-on-1 business counseling sessions are available for those seeking feedback and advice from an experienced business advisor. Counseling sessions are available by appointment only, so please call the CVSBDC at (434) 295-8198 to schedule your appointment on January 17th, or in Charlottesville any other date. Although these events are FREE to all local businesses, space is limited. To ensure a seat at the workshop, businesses can pre-register online at https://goo.gl/ioY8TQ or by phone at (434) 295-8198. Governor Terry McAuliffe and U.S. Senator Mark Warner have announced the launch of the Virginia is for Entrepreneurs (VA4E) initiative. This initiative has been created in an effort to better match entrepreneurs with potential investors across regions, backgrounds and industries. V4E’s first initiative will feature an online application to better link entrepreneurs with investment firms and potential funders to help launch or grow their Virginia-based businesses. Read more from the Governor's full press release. Find out more about the Virginia is for Entrepreneurs (VA4E) initiative. RIDGID has announced its 50th year of producing drain cleaning tools in its Orange County, Virginia Plant. Read the full press release from RIDGID. Orange County, VA – The Orange County Economic Development Office, in collaboration with the Virginia Department of Small Business & Supplier Diversity (SBSD) and the Central Virginia Small Business Development Center (CVSBDC) is hosting a FREE business development opportunity. A workshop, Selling to the Commonwealth will be offered at The Gordon Building located at 112 West Main Street, Basement, Orange, VA 22960 on August 30, 2017. The Selling to the Commonwealth workshop is being offered from 11:00 a.m. to 1:00 p.m. and will present an overview of the two basic requirements—Small/Micro Certification and eVA Registration—for a small business to be in position to conduct business with the state and many local government agencies, and also how to access information to tap into state agency markets. The targeted audience is startup businesses and emerging small businesses. Although this event is FREE, space is limited. Please feel free to bring a brown bag lunch. To ensure a seat at the workshop, businesses can pre-register online at https://www.sbsd.virginia.gov/business-development-and-outreach/events/ or contact Courtney Mustin by phone at (804) 786-0942. In the second phase of the Virginia Business Ready Sites Program (VBRSP), Governor McAuliffe announced development grants for eight sites across the Commonwealth totaling $1,188,288 in grant funding. The VBRSP, administered by the Virginia Economic Development Partnership (VEDP), is a discretionary program established to help Virginia localities develop and market their existing industrial or commercial sites to prospective businesses, thus enhancing the Commonwealth’s infrastructure and promoting its competitive business environment. Orange County was awarded $40,300, for the King Property Site, to assist with site assessment and development, including environmental assessments, wetland delineation, boundary survey, infrastructure design and development, and other costs associated with improving the site. The King Site is geographically located in the northeastern portion of Orange County, in what is the most populated area of the county, and referred to as the Germanna-Wilderness Area. The Germanna Wilderness Area Plan continues to progress. In late June, Orange County hosted a Town Hall as an opportunity for the community to hear the County's recent work on the Plan. Citizens had the opportunity to view maps and other updated documents related to the Plan and to engage County officials in feedback on economic development, historical and cultural assets, planning and zoning, utilities and infrastructure, and transportation. Orange County, VA – The Orange County Economic Development Office is pleased to announce the opening of co-working space off Route 3 in the eastern end of Orange County. Entrepreneur and Developer, Mansour Azimipour has planned to officially open the collaborative work space with a grand opening reception open to the public from 4:00 pm to 6:00 pm on Wednesday, May 31st at the Twins of Germanna Office Park located at 4444 Germanna Highway, Locust Grove, VA 22508. Mansour and Orange County Economic Development are currently engaging the public and Orange County High School’s DECA team to help name the space. To provide name suggestions please reach out to the Economic Development Office by emailing info@thinkorangeva.com or on Facebook at https://www.facebook.com/thinkorangeva/. Collaborative working space, coined co-working space, provides inexpensive office space geared toward small business owners, freelancers, entrepreneurs and the like, in an open office environment. Users pay a monthly membership to have access to an open desk or table space, internet connectivity and office essentials ranging from paperclips to a printer. Members typically enjoy the company of other like-minded individuals and help foster an environment to collaborate and share ideas. Orange County’s office of Economic Development has been working with, Mansour Azimipour, on the shared office concept for almost a year. The collaborative work space will occupy an available unit in Azimipour’s building encompassing 2,100 square feet. The space will provide twelve (12) desks, a shared high-top desk, conference room, one (1) private office, 24/7 access, Wi-Fi connectivity, printer services, refreshments and much more. In addition, the Economic Development office and Orange County Chamber of Commerce will look to provide a mentor community for members and host occasional meetups and business workshops. Mansour Azimipour, who has been a high-energy entrepreneur all his life notes, “I am excited to open this new creative space and provide Orange County and the surrounding community a new business environment to foster success for the small business entrepreneur”. Orange County Supervisor and Vice-Chairman, Lee Frame, says, “Mansour Azimipour has been active and supportive in efforts to develop the Germanna Wilderness Area and the county looks forward to working with Mansour to provide entrepreneurial support in the eastern end of the County and in all areas of the County”. For more information please contact Tommy Miller at the Orange County Economic Development Office at (540) 672-1238 or tmiller@orangecountyva.gov or Mansour Azimipour at (540) 972-2000 or ma@akdevco.com. The Orange Workforce Center is a one stop shop with numerous resources to help people find and sustain employment. The Center houses trained staff members who can assist job-seekers with job searches, questions about unemployment, career counseling, resume writing, interview training and much more. Additionally, businesses can also use the Center to host hiring events and post jobs. Read full article here. Lohmann Corporation has announced that it will consolidate its San Jose, CA facility and transition that work to the Orange County plant located in the Thomas E. Lee Industrial Park. In 2016, Lohmann announced its intent to expand its Orange County facility by investing $6.7 million to erect a new building and adding 56 new jobs. Read full article here. The Orange County Economic Development Office, in collaboration with the Central Virginia Small Business Development Center (CVSBDC), Orange County Chamber of Commerce, and Orange Downtown Alliance is hosting two (2) FREE business development opportunities. A workshop, How to Start a Business, and 1-1 Counseling Sessions will be offered at The Gordon Building located at 112 West Main Street, Basement, Orange, VA 22960 on February 23, 2017. The How to Start a Business workshop is being offered from 1:00 p.m. to 3:00 p.m. and is targeted for those individuals interested in starting a small business or those who may have just started a business and have questions. Topics that will be reviewed will include; the steps to a successful start, the registrations and regulations, and the components of sound business planning, including financial projections. In addition to the workshop being offered this day, FREE and confidential, 1-on-1 business counseling sessions are available for those seeking feedback and advice from an experienced business advisor. Counseling sessions are available by appointment only, so please call the CVSBDC at (434) 295-8198 to schedule your appointment on February 23rd, or in Charlottesville any other date. Although these events are FREE to all local businesses, space is limited. To ensure a seat at the workshop, businesses can pre-register online at www.cvsbdc.org/workshops or by phone at (434) 295-8198. For more information, please contact Rose Deal at the Orange County Economic Development Office at (540) 672-1238 or rdeal@orangecountyva.gov. On June 14, 2016, the Orange County Board of Supervisors unanimously voted to adopt an Economic Development Incentive Policy. The nine (9) page document outlines state and local incentives available to businesses. To complement and further enhance the opportunity of investment in Orange County, the Orange County Economic Development Authority now has available, eleven (11) performance-based incentives to offer entrepreneurs, existing businesses or businesses locating new operations in Orange County. The availability of these incentives offered by the Orange County Economic Development office will help streamline future investment inquiries for prospective business investors and further enhance the marketing potential for Orange County as a place to do business. The Orange County Office of Economic Development officially launched their new website on August 9, 2016. The new website was designed for mobile, tablet and desktop users and hopes to visually enhance user experience while providing easy navigation to information. During design, the team focused on search engine optimization and key word identification. With this focus, the Orange County Economic Development Department anticipates a growth in website traffic, allowing the office to provide more services to local businesses and respond to leads from prospective companies. The new website was designed and created by Blue Cloud Studio of Barboursville, VA in Greene County. Their proposal was awarded shortly after quotes were solicited in early March 2016. Director of Economic Development, Tommy Miller said, “Blue Cloud Studio was very appealing based on their extensive and impressive portfolio servicing other local companies in the region." The new website also features a new logo which was also designed by Blue Cloud Studio, providing a more modern and appealing design. Further complimenting the modern look and feel, the website features several new maps designed by DIA, Inc. of Norfolk, VA.
Farms are inviting visitors to tour a vineyard, enjoy hayrides, buy their produce, and eat ice cream made from the local dairy’s milk. If agritourism is part of your farm’s business plan, the September 29th, Innovative Communities: Agritourism in Virginia’s New Economy workshop is the place to be. Scheduled for Thursday, September 29, 2016, the workshop is sponsored by Virginia Cooperative Extension, Virginia Department of Agriculture & Consumer Services, and Virginia Tourism Corporation in partnership with the Orange County Department of Economic Development and Tourism Offices and the Central Virginia Small Business Development Center. Held at The Pavilion on Lakeland Farm located at 13475 Sedwick Lane, Orange, Virginia, the workshop will begin at 10 a.m. and conclude around 3:00 p.m. This event is FREE to attend and a boxed lunch will be provided. 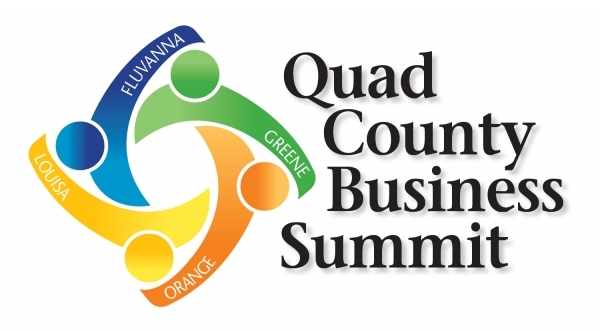 Orange County will host the first ever Quad-County Business Summit! The Orange County Economic Development Office is working on collaboration with the Orange Chamber of Commerce, Orange Downtown Alliance, Central Virginia Small Business Development Center and peer organizations in Fluvanna County, Greene County and Louisa County. The Summit is intended to bring together businesses from the four county region for a half-day of networking and educational programs with various speakers covering a vast range of topics including: business start-up, marketing strategy, customer service and employee engagement. The event is FREE to attend and breakfast and lunch will be provided. Sponsorship opportunities are available! More information and registration will follow in the coming weeks. Please contact Rose Deal, Economic Development Assistant at 540.572.1238 for more information. Governor Terry McAuliffe announced today that Lohmann Specialty Coatings LLC, a subsidiary of Lohmann Corporation and Subsidiaries, will invest $6.7 million to expand its manufacturing operation in Orange County. The company, which manufactures adhesive bonding materials for custom coating of adhesives, slit rolls, double-sided tapes, and precision die-cutting, will increase capacity to include fabricating and specialty converting, creating 56 new jobs. Virginia successfully competed against Kentucky and West Virginia for the project. In support of “Virginia Business Appreciation Month,” the Orange County Economic Development Office, in collaboration with the Central Virginia Small Business Development Center (CVSBDC), Orange County Chamber of Commerce, and Orange Downtown Alliance is hosting Best Workforce Practices for Small Businesses, a FREE business development workshop for firms located in Orange County. To review the full Economic Development Strategic Plan, please download it here. For more information, please contact the Orange County Economic Development Office at 540-672-1238. The Orange County Economic Development Office, in collaboration with the Central Virginia Small Business Development Center (CVSBDC), Orange County Chamber of Commerce, and Orange Downtown Alliance is hosting three (3) FREE business development workshops in Locust Grove. Let’s Put Orange on the Map, How to Start a Business, and 1-1 Counseling Sessions will be offered at The Twins of Germanna Office Park located at 4444 Germanna Highway, Suite 190B, Locust Grove, VA 22942 on March 23, 2016. As work continues on the 50-year vision of the eastern end of the county through the Germanna-Wilderness Area Plan (GWAP), county officials hope to apply the same sort of long-range planning approach to the Orange-Gordonsville corridor. Two years ago, Green Applications, a division of Green Distribution, moved to the former American Press building in Gordonsville with the promise of hundreds of jobs, millions of dollars in local investment and a visit from the governor. Much as James Madison looked at his central Virginia estate and considered how best to manage his land, the property’s current stewards maintain that legacy—even if they go about it a little differently. The Orange County Economic Development Office, in collaboration with the Central Virginia Small Business Development Center (CVSBDC), Orange County Chamber of Commerce, and Orange Downtown Alliance, is offering another FREE workshop to help get your business out there. This Marketing Roundtable workshop is intended for any business who wants to learn more about solutions to their current marketing efforts to drive direct sales via email, social media, blogs; the use of traditional media such as TV, radio, and newspaper; as well as Guerilla Marketing tactics to market effectively on a shoestring. In March 2015, Orange County, in partnership with The Montpelier Foundation, was awarded a $20,000 Agriculture and Forestry Industries Development (AFID) grant from the Virginia Department of Agriculture and Consumer Services (VDACS). People in Orange County are looking for what you offer – and they’re looking online. That’s why we’re teaming up with Google to host a free workshop to help you and your fellow businesses get online and on the map. Help more customers connect with your business on the web! Members of the Virginia Tech Office of Economic Development, through the funding from the Agricultural Forestry and Industrial Development (AFID) grant, presented their final report titled, Assessing Opportunities for Agriculture and Agritourism at Montpelier.